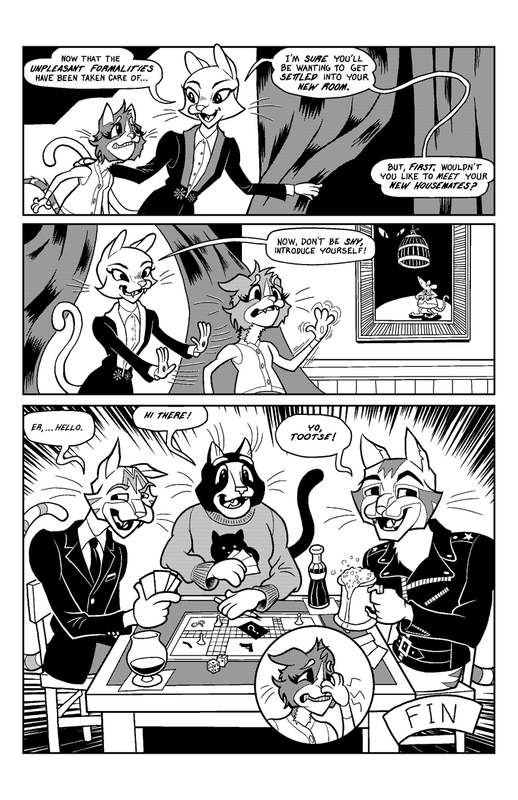 An exclusive Kitty’s Cats story will debut in the new funny animal anthology “Molasses” at SPX 2014. Check out this preview! 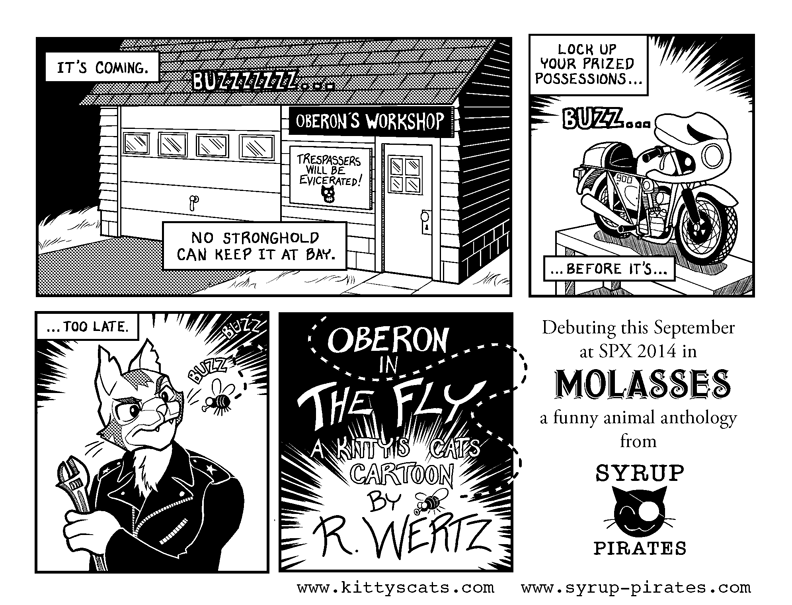 “Molasses” will be published by Syrup Pirates and will feature comics by a number of excellent cartoonists. Check out the publisher’s announcement for more details. SPX 2014 takes place on September 13–14 at the Marriott Bethesda North Hotel & Conference Center. 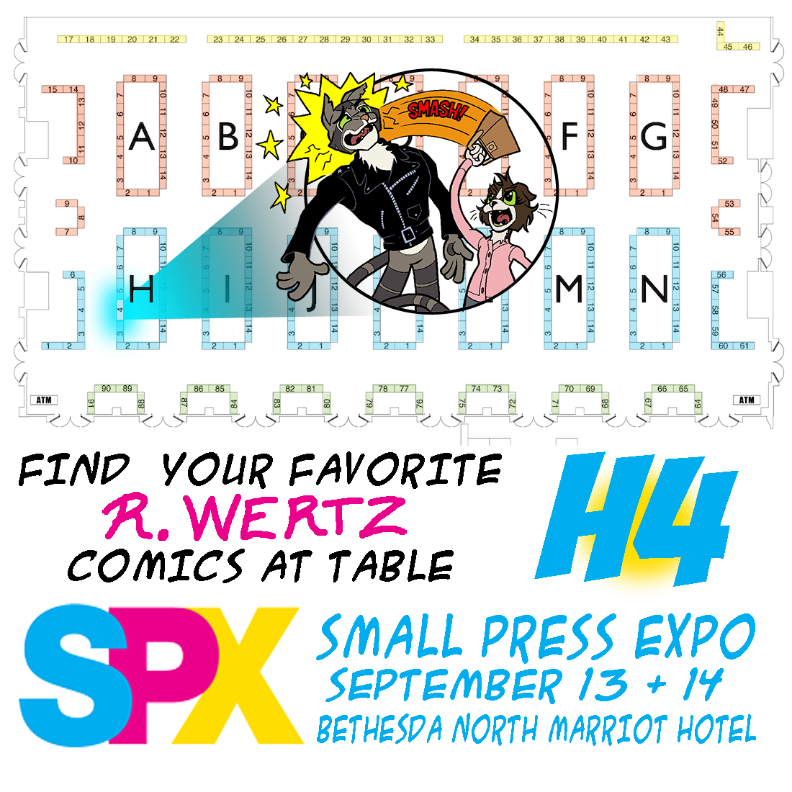 Please consider attending and stopping by to pick up the book and other great Kitty’s Cats stuff! If you can’t make it, the book will be available online shortly after the event. 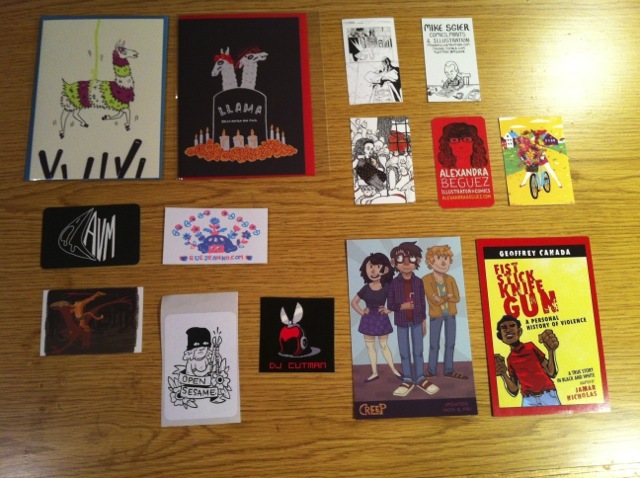 I spent a few hours checking out Locust Moon Comic Fest yesterday. It reminded me of the early days of Small Press Expo, and I mean that in a very complimentary way. there were a lot of very talented and friendly cartoonists exhibiting their wares. I only regret not getting to talk to more of them. 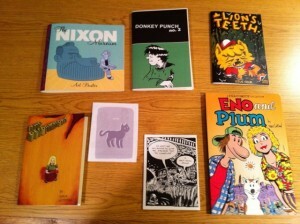 It makes me happy that the Philly comics scene is so healthy. I think this festival has potential to grow and attract people from all over the country. 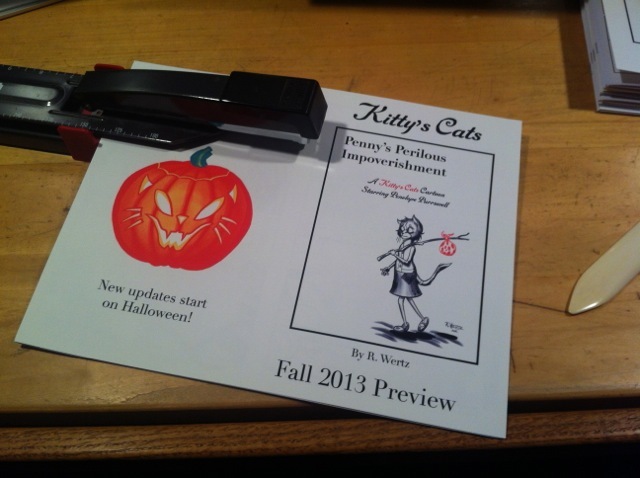 For my part, I was handing out preview mini-comics to anyone I came into contact with. 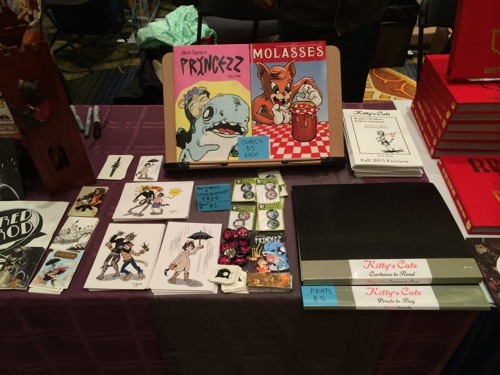 I plan to have a table next year, and hopefully get to meet everyone I missed this time!